Vijay Mallya's statement confirming that he met Finance Minister Arun Jaitley before leaving India and offered to settle the loans obtained from various banks exposed the true colors of the Modi Government. Speaking to the media persons at the West-Minster Court, The Liquor Baron told: 'I had left India to attend a meeting in Geneva. Met Finance Minister Arun Jaitley before leaving India. I had offered to settle the dues. Placed Settlement Papers pertaining to assets worth Rs 15,000 crore before Karnataka High Court. I don't understand why Banks still refuse to cooperate. I was made a football in the political game between two national parties'. 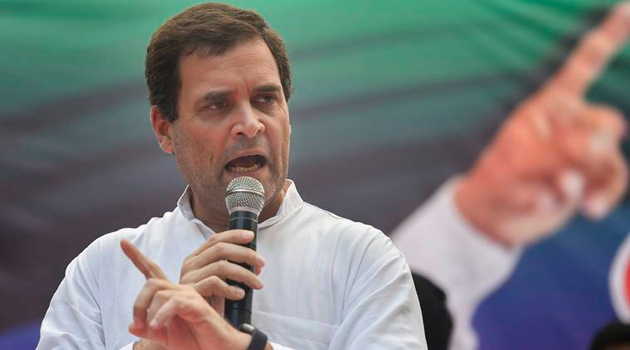 Rahul Gandhi mocked Arun Jaitley saying Finance Minister who had hidden the facts from public and investigation agencies for two-and-a-half years suddenly remembers the meeting in which Vijay Mallya told him that he was leaving for London. He went on to say Jaitley's continuance as Finance Minister is disgraceful. Congress Chief opined that Mallya's Great Escape took place just because CBI had quietly changed the 'detain' notice into 'inform' notice. 'The CBI reports directly to the PM. It is inconceivable that the CBI, in such a high profile case, would change a lookout notice without the approval of the PM,' he doubts.